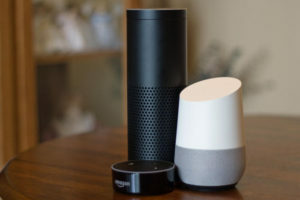 Even though it seems everyone is talking about voice-assisted devices and smartwatches, the majority of consumers don’t own these new devices, and even fewer use them to complete purchases, according to a recently released study by Episerver. For its annual “Reimagining Commerce: Global Findings” report, Episerver surveyed 4,000 online shoppers in four global markets and found that new devices like smartwatches and voice-assisted devices have yet to catch on for shoppers, while more established devices like smartphones have gained a foothold. In fact, 75 percent of all consumers report using smartphones to browse, and over half (57 percent) report making purchases on these devices. Additionally, 29 percent of smartphone owners report browsing for purchases on their smartphone daily and half report doing so weekly, indicating a sizeable base of highly connected consumers. • Almost a third of shoppers (29 percent) browse on their smartphones daily, but only 27 percent of those shoppers go on to make a purchase on their devices at the same frequency. • Of shoppers who don’t want to try new technology functions again, half (51 percent) report it’s because these technologies did not improve their experiences. • Thirty-five percent of consumers have tried or would be interested in trying drone delivery.